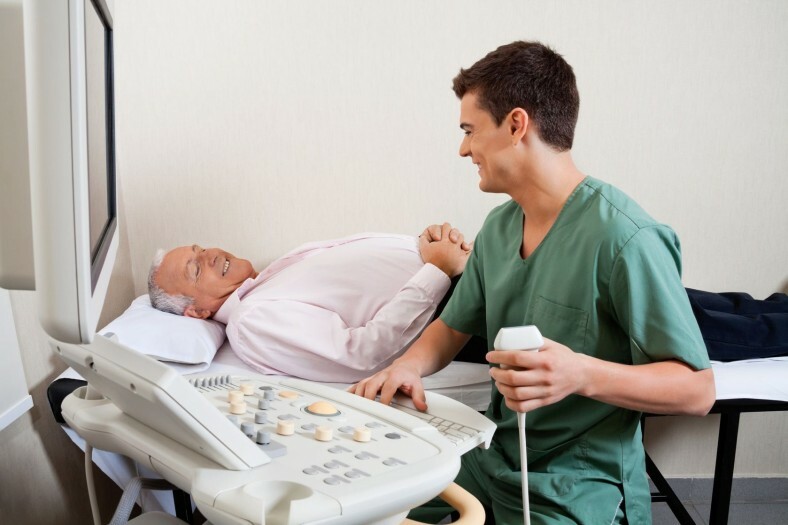 An abdominal ultrasound uses sound waves to create a picture of your pancreas and the area surrounding it, including your liver. This is normally done in the X-ray department of the hospital. This is the same procedure that is done with mothers during pregnancy when doing check ups. The procedure is completely painless. You will be taken into a scanning room and asked to lie on the couch next to the ultrasound machine. A clear gel will be spread onto your skin over your stomach. A small device called a transducer will be moved across your abdomen. The transducer creates sound waves that echo when they meet an organ or tumour. The computer will turn these echoes into pictures, which the radiographer or doctor will interpret and the results will be sent to either your GP or your specialist.